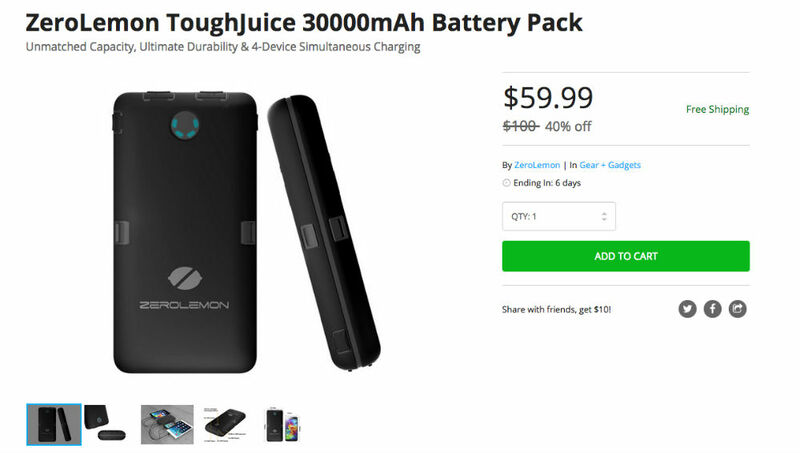 For a limited time, you can grab a ZeroLemon ToughJuice 30,000mAh Battery Pack for just $60 on the DL Deals Store, down from its original price of $99.99. With 30,000mAh of juice, users should have zero issue getting multiple charges for their smartphone or tablet from this pack. The device itself features four USB ports, allowing you to charge four devices all at once, at top speed. And with a double layer “anti-shock” soft shell, it should keep on ticking even in the most extreme of environments. If interested, follow that link below.